Excellent job! 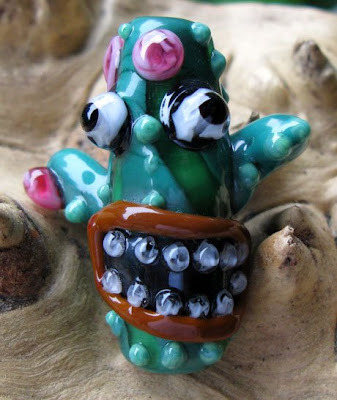 A young man at Bead and Button bought a cactus from me and he called it a "Spastic Cactus". I think that term would work for yours as well. Thanns for blogging and posting your work! Now that's one cool cactus! Oh gosh, I love that cactus! Too funny indeed!